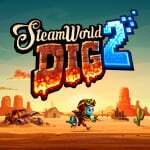 The Switch eShop version of SteamWorld Dig 2 has already tunnelled its way into our hearts - in fact, we loved it so much we gave it a 9/10 - but what about those players who played the equally great first game on Nintendo 3DS? Well, wonder no more fellow handheld friends because developer Image & Form has revealed the stellar sequel is headed to the 3DS eShop later this month. It'll be priced at $19.99 / €19.99 in North America and Europe and, if some of the official screenshots are anything to by, it's going to look just as gorgeous as the Nintendo Switch version. We'll be reviewing this incarnation as well, so look out for our review around its launch on 22nd February, 2018. 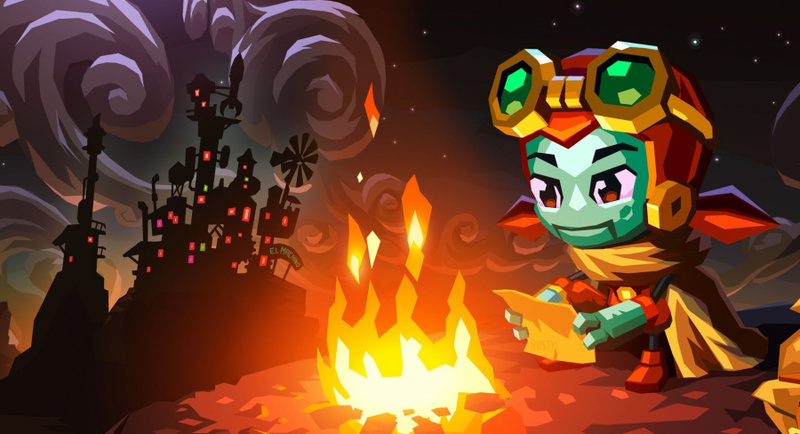 "SteamWorld Dig 2 Is Will Dig A Path To Nintendo 3DS On 22nd February"
I is will be passing. No WiiU? Hmmmm. Wow. That's pretty insulting to the Wii U. There's nothing baffling about porting to a system with 70 million users instead of one with 15. The Wii U has been pretty insulting to the Wii U. I think we should just be happy that we actually got Heist. @Pod A port to Wii U would be far easier than to the 3DS. @SLIGEACH_EIRE Far less profitable too. Just downloaded this on my Nintendo Switch but now this makes me wish I would have waited for 3DS version this title will look amazing in stereoscopic 3D , non the less great game and if you've not played it yet I highly recommend it and great to see the 3DS getting some more good games added to its already spectacular line of titles . @PhilKenSebben @Pod That can be balanced out by being far cheaper to port the game to the Wii U. @Dom Well, I don't know Dom.. is will think it over..
That's pretty cool. Judging from the screenshots, this looks like one of the most beautiful 3DS games I've seen! Good job, Image & Form! That said, I already have it for Switch, so I don't see a reason to get this on 3DS too. @SLIGEACH_EIRE why is it cheaper to port to Wii U than 3DS? My understanding is that the Switch has different architecture to both. They meant Dig 2 Intelligent System (IS). 3DS is the reason why they became successful, so they have to make a special version for it. @Nincompoop I thought it was Islamic State but I wasn't sure if I should say. Just like Capcom gave the 3DS Resident Evil: Revelations 2? There'll be a worried Switch owner along here shortly, so let me get this out of the way. This game is being released for the 3ds. Because every game dev on Earth is working on it, your game, the one you're waiting on for the Switch, will be delayed. @SLIGEACH_EIRE Don't know if you are trolling, but if they port it to the Wii U, technically people would have one month to buy it, so it's not a pretty good choice. Great news for 3DS owners. Brilliant game. Great game, better than the original game easily. I hope this means they will be spending more time now on the 3rd game in the series. I'm not suprised at all, games like Steamworld are...tailored for the Nintendo 3DS. And for all Nintendo systems of course. As Nintendo fans we should be happy, that the 3DS and the Switch coexist so beautifuly. There is no need for a war between 3DS and Switch users. The main reason it's on 3DS and not WiiU will be down to sales. Technically the WiiU port should be straight forward as the games isn't demanding and would be a good fit for the controller but it's essentially a dead system that's been dropped by Nintendo. I'm sure Nintendo still pay Indies based on hiting specific targets rather than just individual sales. I'm pleased it's made it to the 3ds aswell as the Switch. Awesome and unexpected news. Love my 3DS and I'd rather play this kind of 2D games on there, in 3D if possible! That's great news... especially for people who have a 3DS but don't have Switch... SteamWorld plays really well on dual-screens. @Oscarzxn One month? What do you mean? The Wii Shop Channel is closing soon, but the Wii U eShop will still be open indefinitely. That said, launching on Wii U would be a complete waste of resources, as it would sell terribly there. will it have the 3d effect? Yeah but roughly 5 people would buy it. 3DS userbase is a lot more active than Wii U.
Hmm...Do I now get this on my 3DS, or wait until I have a Switch? @thesilverbrick Really? Thanks for the information. No, it certainly can not. These guys already have the know-how and the engine they need for the 3DS version anyway. @Oscarzxn No problem. I can understand the confusion. @Pod They also have the Wii U engine. And again we come back to the fact that Nintendo doesn't themselves support the Wii U anymore, and that it has only 20% the install base of the 3DS. I'd personally love to see it on Wii U as well, but I won't pretend it's financially more sound as a target platform than the 3DS. Can you just let the Wii U die with dignity? Don't try to keep it alive with force. There's absolutely no point in complaining about a game not coming to Wii U. The sales on Wii U would most likely not make up for the costs of porting it. Probably because the 3DS is not the priority anymore. The rate game I would have bought on 3ds if I'd known. I love having the second screen map. Yes! I can't wait play it! I'm very happy image & form is deciding to bring sw dig 2 to the 3ds. I don't have a switch yet so I'm glad I can finally be able to play this game, especially on a portable system that I own. I'm also hoping that this proves that it's still more than financially viable to release indies on the 3ds instead of just making blanket statements about the 3ds market is dead. That's very nice of them to go back to the system where the series started. I'd imagine they released the Switch version first to give it the most attention, but hey at least those 3DS owners without a Switch can now play it. I’m very pleased by this. I bought Steam World Dig and Steam World Heist at different points, but haven’t played either yet. I’d prefer to have all three on the same system. And here I was thinking of getting the Switch's physical release and they announce a 3DS version with 3D support I'll most likely go for a 3DS physical release instead if available. It even runs at 60 fps with the 3d effect on! I have to agree it is a shame this won't be coming out on the Wii U too. I understand why it isn't, but it would be a nice farewell gift to the system, and a real treat for anyone who bought it. @Henbush maybe not now. Maybe A Hat in Time will eventually get a Switch port in the future. I'm so excited for this! Can't wait to see what it looks like in stereoscopic 3D!